A good drive is needed here if you’re looking for a birdie. Drive over the marker post, anything right may find a fairway bunker. 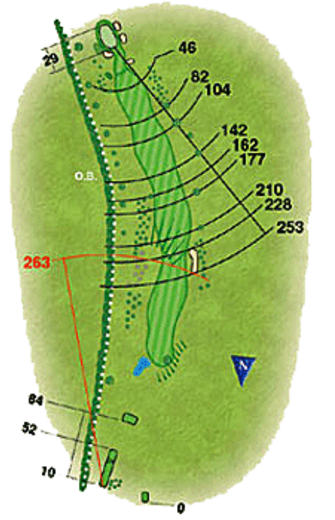 A generous layup up area offers a good up and down opportunity played to a green sloping back to front.